Life Alert is a well-known company with most of the popular services. You might have to make sacrifices elsewhere though. When my grandfather passed away, my family faced a dilemma as my grandmother struggled to live by herself and maintain her independence. Although she still had her health, she wasn’t quite as capable as she had been in years past. Not to mention, her closest relative was thirty minutes away, so we couldn’t check in on her regularly. That’s when I started looking into medical alert systems, and Life Alert was one of the first companies that I looked into. Medical alert systems are capable of accomplishing many things for customers. They can allow you to maintain your independence, give your family members peace of mind while you are home alone, and provide you with the protection you never thought you needed. If you are having any worries about staying home alone or leaving a loved one alone, like I was with my grandmother, then you should look into Life Alert or another medical alert option. After all, you never know when an accident is going to happen, and the longer you go without help, the worse your condition can get. A fall or another accident can even have lingering psychological effects if the victim doesn’t receive help fast enough. However, you need to determine the amount of care you need before purchasing a medical alert system. If you need specialized care or are incapable of being on your own for long periods of time, you should consider alternatives because medical alert systems are for people who are still able to get around well on their own. Here are a few questions to ask yourself before purchasing Life Alert or another medical alert system: do you get out of your house a lot, do you have a condition where you might fall without notice, and do you have a spouse who needs to be monitored? 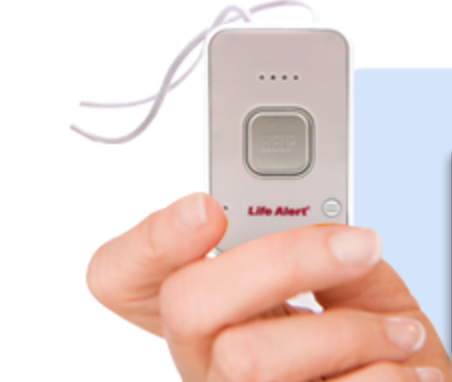 Life Alert helped popularize medical alert systems with its “Help! I’ve fallen and I can’t get up!” commercial, but this company is defined by its work and not a single commercial. Life Alert is a top of the line medical alert company that has been around since 1987, and they provide services that keep them on par with the other medical alert companies out there. A technician comes to every house to install the Life Alert system, so no need to worry about the system not working because it wasn’t plugged in correctly. Life Alert has a smartphone app that will connect you with their call center, so you can have protection right from your cellphone. That’s convenient since most of us usually carry our cellphones around. The mobile emergency button has a battery that lasts up to 10 years. Most other mobile emergency buttons need to be charged every few days. Life Alert does not offer a system test every week or month, so there is no way to ensure your system is working properly. Unless, you press the button of course. You are committed to your three year contract unless you can provide proof that you are moving to a nursing home or you pass away. You have to pay for the installation of the product. With many other companies, you install the system yourself. This system does not come with a fall detection option. That might be something you want if you have fallen before or are worried about falling in the future. With the at-home medical emergency system from Life Alert, you get a base station and an emergency button with 24/7 monitoring for whenever an accident might happen. This system works by pressing the emergency button which connects you with a care specialist through the base station. The care specialist will then send help if it is deemed necessary. 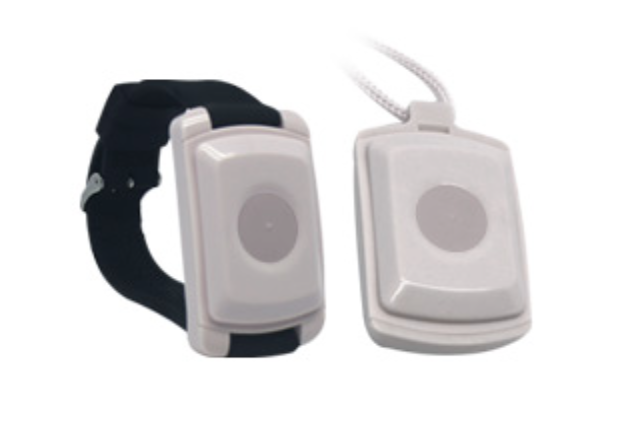 The emergency button for Life Alert comes as either a necklace or a wristband. It is also completely waterproof. You can use the emergency button up to 800 ft from the base station, which gives you quite a bit of range to move around. My grandmother used to get out on her front porch a lot, so this option would’ve allowed her the freedom to keep doing that. The base station comes with two options. It can either be hooked up to a traditional landline, or you can get a base station that runs off of cellular service. Both base stations have two-way communication through a speaker and microphone. The price for the at-home emergency system from Life Alert is $29.95 for the landline system and $39.95 for the cellular system. 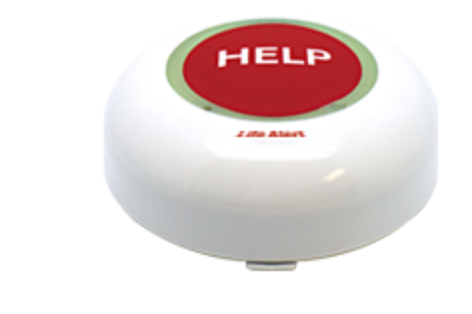 The Life Alert mobile emergency button can be carried with you anywhere that there is service for a GSM cell phone. The button can be used to track your location through GPS technology, and it is small enough to go in a bag or around your neck. If you enjoying getting out of your house, this is a feature you will want to consider. Life Alert allows you to download an app on your smartphone that connects you to the Life Alert Center. The Life Alert Center can then monitor your situation and get you help if you need it. Our cellphones are becoming more and more important in our daily lives, why not pass over this responsibility as well? You don’t need a separate system if you have a spouse that needs monitoring as well. Instead, you buy an extra emergency button and set it up with your current system. It will cost an extra $9.95 per month. Life Alert sends out their own technician to install the equipment, so you don’t have to worry about any complications that might arise from installing the system yourself. I know my grandmother wasn’t tech savvy at all, so a technician can ease some of the stress that comes with adapting to a medical alert system. Also, since technicians are trained, you can be further assured that the medical alert system is functioning properly. You have to pay a single installation fee, which averages around $100.00, so you will want to weigh your options. Most other companies have you set the system up yourself. They typically aren’t very difficult to install, but it’s always beneficial to have help. You can use your emergency button to contact the Life Alert monitoring center if you are worried that someone is breaking into your house. They use the microphone on the base station to listen in, and they can send help if it is required. With Life Alert, you can purchase emergency wall buttons to place near areas where a fall or accident is likely to occur, such as near the bathtub or in a dark hallway. This will provide you with protection even if you forget your emergency button on the nightstand or kitchen table, which is easy to do if it is late at night and the bathroom comes calling. This is a major downside with Life Alert. You are committed to a contract for three years. You can only cancel the contract if you show proof that you are being moved to a nursing home or other full-time care facility. Obviously, the contract ends upon death as well. That’s quite the commitment when other companies allow you to cancel at any time. Alert1 is a long-standing medical monitoring company that is on par with any other business in the field. For that reason, you will want to consider Alert1 before making a final decision. Alert1 offers fall detection for their emergency systems, but Life Alert does not seem to offer this feature, which is odd because fall detection is offered by most medical alert companies. With Alert1, you have a 30 day money back guarantee. On the other hand, Life Alert does not offer a money back guarantee if you are not satisfied. You also have to set up a contract with Life Alert. Alert1 runs monthly test on your system to make sure that it is working properly. Life Alert does not test your system. However, Life Alert does send a technician out to install the system for you. Still, it would be comforting to know that the system is working each month. LifeStation offers a range of options that stand up well against the competition. You will definitely want to check out LifeStation before deciding on what medical alert system works for you. LifeStation will run a weekly test on your system, so you are rest assured it is working correctly. If choose Life Alert, they do not run a test on their systems at all. LifeStation offers Activity Assurance, which monitors your activity by requiring you to check in once every 24 hrs. Life Alert does not offer a similar feature. You have to sign a three year contract if you choose Life Alert, but you can cancel anytime with LifeStation as long as your return the equipment. You can purchase fall detection with LifeStation, but Life Alert does not offer fall detection. LifeFone has managed to keep up with other medical companies throughout the years. For that reason, this company deserves consideration when choosing a medical alert system. LifeFone has an option to purchase a range extension, so the emergency button will reach up to 1,500 ft from the base station. This is much longer than the 800 ft range offered by Life Alert. LifeFone offers free in-home monitoring for a second user, where you have to pay an additional $9.95 per month with Life Alert. You can cancel your services anytime with LifeFone if you no longer need the medical alert system, but with Life Alert, you have to set up a three year contract. This prevents you from getting out of payments unless you or your loved one is transferred to a long term car facility. LifeFone has a fall detection option for its products, while Life Alert does not offer any fall detection options. Copyright 2018 by Background Checks.org. Background Checks.org is operated as a public service to individuals. We are not a consumer reporting agency as defined by the Fair Credit Reporting Act, and you may not use any information for any "permitted purpose".